Britain’s most senior medical adviser has warned MPs that the rise in drug-resistant diseases could trigger a national emergency comparable to a catastrophic terrorist attack, pandemic flu or major coastal flooding. Dame Sally Davies, the chief medical officer, said the threat from infections that are resistant to frontline antibiotics was so serious that the issue should be added to the government’s national risk register of civil emergencies. She described what she called an “apocalyptic scenario” where people going for simple operations in 20 years’ time die of routine infections “because we have run out of antibiotics”. Davies declined to elaborate on the report, but said its publication would coincide with a government strategy to promote more responsible use of antibiotics among doctors and the clinical professions. “We need to get our act together in this country,” she told the committee. She told the Guardian: “”There are few public health issues of potentially greater importance for society than antibiotic resistance. It means we are at increasing risk of developing infections that cannot be treated – but resistance can be managed. “We are becoming increasingly reliant on antibiotics in a whole range of areas of medicine. If we don’t have new antibiotics to deal with the problems of resistance we see, we are going to be in serious trouble,” Johnson added. The supply of new antibiotics has dried up for several reasons, but a major one is that drugs companies see greater profits in medicines that treat chronic conditions, such as heart disease, which patients must take for years or even decades. 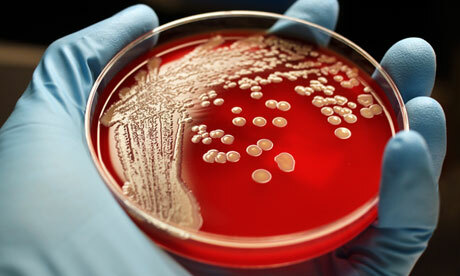 “There is a broken market model for making new antibiotics,” Davies told the MPs.